A private label established by Disk Union, one of the biggest record store group, DIW has been producing wonderful jazz albums and CDs for the discerning Japanese audience. 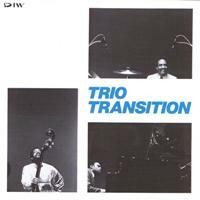 Trio Transition, consisting of pianist Mulgrew Miller, bassist Reggie Workman and drummer Frederick Waits, was one of those ad hoc groups formed especially to tour and record in Japan. And what a trio it was! When these sides were recorded in 1987, Miller was already well known to Japanese jazz fans, having visited the country numerous times with Duke Ellington Orchestra, Woody Shaw, Art Blakey, Tony Williams and Kenny Garrett. His powerful yet sophisticated piano is complemented and elevated by the superb support of the veteran rhythm section. The sharp and crisp drumming of Waits is especially impressive. Eastwind Import is proud to bring this CD, previously only available (and possibly known) to Japanese fans, to connoisseurs around the world. A worthy addition to the collection if you are a fan of exciting, straight-ahead piano trios! Produced by Trio Transition. Recorded on December 16, 1987 in Tokyo, Japan. Remastered in 2008.